Egypt coach Hector Cuper said that star striker Mohamed Salah has recovered from his shoulder injury and will almost certainly play in their World Cup opener against Uruguay on Friday. Salah's return is a massive boost for Egypt and for the tournament in Russia because it means one of the hottest players on the planet at the moment will be in action. 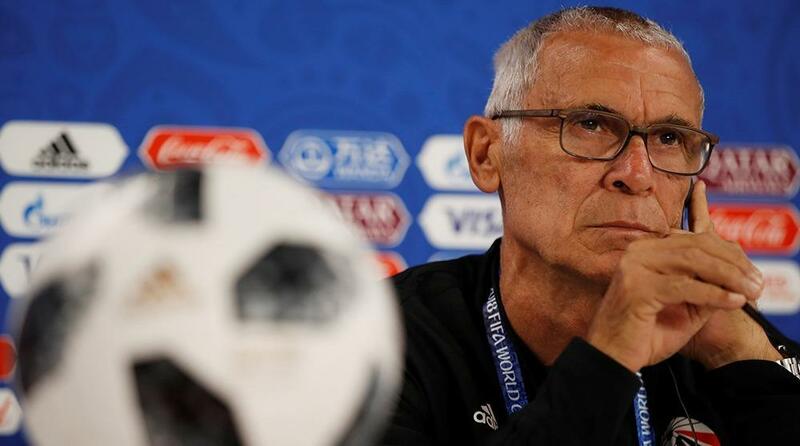 "We still have to see how training goes today, but I can almost assure you 100 per cent that he'll play, we are all very optimistic that he will be on the pitch," Cuper said on Thursday, shortly before leading out his squad for training at Yekaterinburg Arena -- with Salah among them. Salah, who sustained the injury in Liverpool's Champions League final loss to Real Madrid on May 26, is crucial to Egypt's hopes of making it out of a weak-looking Group A also featuring hosts Russia and Saudi Arabia. Egypt play Uruguay -- tipped by some to be dark horses -- in just the second game of the tournament, following Russia against Saudi Arabia in the opening match later Thursday. Salah, who turns 26 on the day of the game, gave 100 million frantic Egyptians a huge lift on Wednesday when he joined a squad training session at their Grozny base. And Cuper hinted on Thursday that it was the player who had the final decision whether to play. "Doctors are giving him the option," said Cuper.